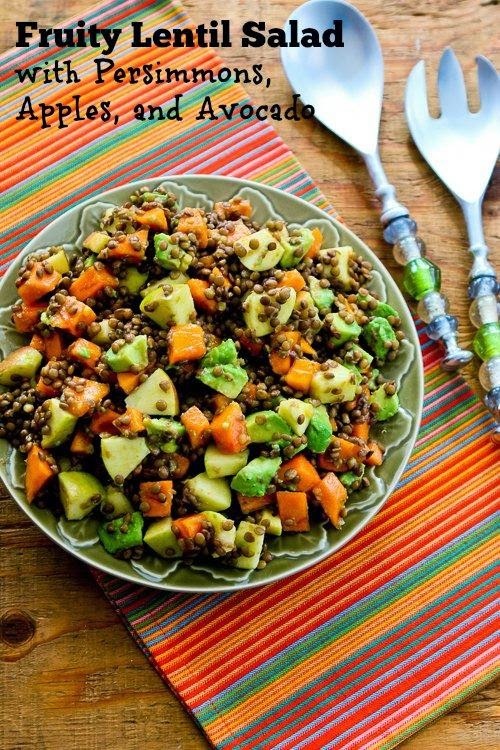 The combination of lentils + fruit really worked in this Fruity Lentil Salad with Persimmon, Apple, and Avocado! I'm a huge fan of lentil salads (like this Vegetarian Lentil Taco Salad or this Lentil and Barley Greek-Style Salad), but I have to admit combining lentils, fruit, and avocados into this Fruity Lentil Salad with Persimmon, Apple, and Avocado was thinking outside the box, even for a lentil-lover like myself. But please believe me when I say that this slighty-sweet salad with lentils and fruit was just delicious!